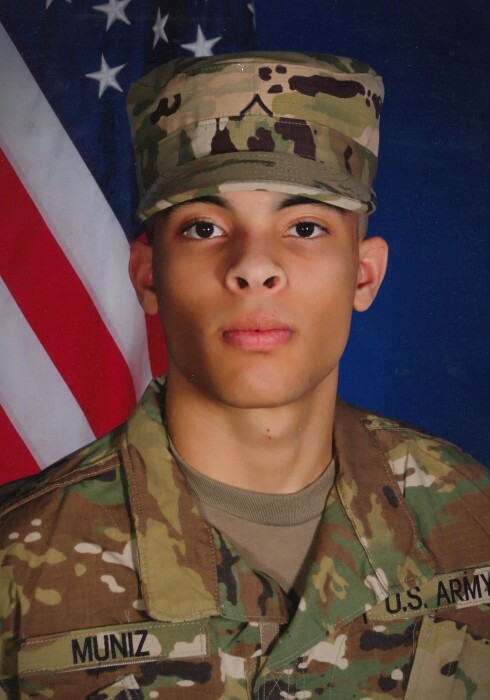 David Enrique Muniz-Cordero, 20, of Clarksville, TN, passed away on Saturday, September 1, 2018. David was born on November 30, 1997, in San Juan, Puerto Rico to Carlos E. Muniz and Deborah Yesenia Cordero. Celebration of Life Service will be held on Saturday, September 8, 2018, at 1:00 p.m. at the Neal-Tarpley-Parchman Chapel with Rev. Dr. Modesto Martinez officiating. Burial will be at Greenwood Cemetery. Visitation will be held on Saturday, September 8, 2018, from 9:00 a.m. until the hour of service at the funeral home. David was enlisted in the Army Reserve. In addition to his parents, David is survived by his sisters, Jessica Muniz and Martina Muniz; step-father, Arturo Badillo; and step-mother, Marisa Muniz.